I guess you could say that I've been a professional grocery shopper for almost eight years now--since launching San Diego Foodstuff. I love shopping and markets--whether it's chatting up vendors at our farmers markets, discovering new ingredients at ethnic markets, or ooohing and ahhhing over the annual reappearance of seasonal produce at Whole Foods or Sprouts. Don't even get me started on Trader Joe's. So, when I received Amazon's notice of the San Diego launch of AmazonFresh--their fresh produce and grocery delivery service--I was curious. How would it work? They brag that they offer products from local vendors, but who would they be and why wouldn't I just head over to their shops? How easy would it be to order what I want? How long would it take to get to me? Sure, we've been through other online grocery delivery businesses, like FreshDirect and WebVan. But this is Amazon. I have certain expectations. I'd love to hear from you about whether or not you think a grocery delivery service is worth $299 a year--remembering that you only get "free" delivery if you spend more than $35 on an order. Clearly the rationale on Amazon's part is that you'll feel compelled to spend an awful lot on Amazon groceries and other goods to justify paying that annual fee. Good for them. But is it good for you? The company also promotes the promise that if you order by 10 a.m. you'll have delivery by dinner. If you order by 10 p.m., you'll have your order delivered by breakfast. Not so fast. Literally. On Tuesday morning I ordered a combination of groceries that were part of their basic AmazonFresh list and some local (meaning Southern California) groceries. But once my selections went into my cart, it turned out that some would be available Wednesday and others not until Thursday. Consequently, I set my delivery date for Thursday late morning. But, let's start with how it works once you get on the site. You'll enter your address to see if you qualify for delivery service. If so, then you sign up for a free, 30-day trial, entering all your crucial info, including payment details--all the usual stuff for this type of commerce. Once you get on the shopping site you have the option of shopping bestsellers, recipes, shopping with coupons, shopping neighborhood shops and restaurants, shopping grocery or Amazon.com items, or household, baby, health & beauty. My initial interest was in seeing who was represented locally. And, remember that in this case local means Southern California. 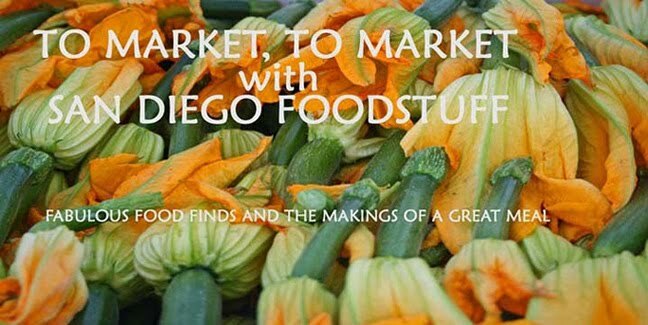 So, yes, there are shops and vendors you know like Eclipse Chocolate, Dallmann Fine Chocolates, Waters Fine Food & Catering, Bird Rock Coffee Roasters, San Diego Honey, Sadie Rose Baking Co., Cafe Moto, Venissimo, The Cravory, and Seaport Oil & Vinegar. What this L.A. native also appreciated was the appearance of some old neighborhood favorites of mine from living in West Hollywood--Western Bagel, Canter's, and--be still my heart--the Diamond Bakery on Fairfax. So, off I went to order. I bought a couple of heads of garlic, a jar of Medaglia D'Oro Instant Espresso Coffee, a 6-ounce container of blueberries, a bunch of organic dinosaur kale, turbinado sugar, and organic air-chilled chicken--items that already were on my shopping list. Then I picked up two loaves of corn rye bread from Diamond Bakery and a couple of potato knishes from Canter's--treats I can only buy when visiting L.A. Lastly, I scanned our local folks and picked up a pound of decaf coffee beans from Cafe Moto and both burrata and bucherondin chevre from Venissimo. That's it. The total came to almost $68--meaning my delivery would be free. But, as I was checking out the form gave me the option of adding a delivery tip. The recommended amount was $4, but I could modify that or not include it. Their delivery people don't take cash. As for delivery, you get a choice of days and times, as well as a choice of selecting front door delivery (they just drop it off) or in-person delivery (you must be there and sign off on delivery). Clearly, my list was not the usual weekly grocery list. For someone who isn't into marketing, doesn't have the time, or is unable to get around easily, grocery delivery is a tremendous service. The question is whether that $299 fee is justified. It's a potential boon for local vendors. 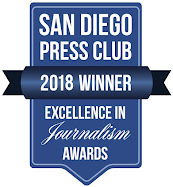 According to Venissimo owner Gina Frieze, who was approached by Amazon to participate as they were expanding into San Diego, it is a way to get visibility to potential customers in the county, as well as give them a presence in Los Angeles. "That means millions of people who might never get to try our cheese would have a chance to try them," she says. "Even some of our regulars are thrilled to have this convenient option available to them. Same great cheese, cut fresh off the wheel, delivered next day to your doorstep. Not a bad deal." So far their product selection on the site is smaller than in the shops. 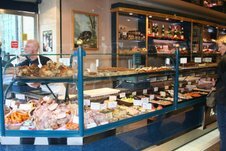 Currently they include a combination of customer favorites along with some that staff love and that they always have in stock--from cheeses and charcuterie to crackers, sweets, savories, and gift collections. Frieze says that her understanding is that as they get up to speed with real-time inventory, they'll be able to offer an even greater selection. And, AmazonFresh customers also get the full description of the cheeses that Venissimo's store customers have come to expect. I'm hoping that product expansion applies to the other vendors. I wanted to order a package of chocolate nibs from Eclipse Chocolate, but they weren't to be found. I love Bird Rock coffee but their decaf beans were only available in a pricy and impractical five-pound order. Similarly, even some basic grocery orders are limited. The only DeLallo whole wheat pasta I could find was spaghetti--a 16 pack. For me, that's part of the limitation of online shopping--another issue for you to weigh, along with whatever preferences you have in the area of brands, whether you want produce that's already ripe or a few days from ripeness (think avocados), or what size produce you want (I like small russets not ginormous ones). In short, how picky are you about your groceries? Do you like to sniff and press? It will also be interesting to see who else in San Diego will eventually participate. For example, Santa Monica Seafood is part of AmazonFresh, but Catalina Offshore Products says it hasn't been approached. Cupcakes Squared has been approached but hasn't decided. Another vendor I know felt that it wasn't worth it, while another is considering it. Will there be a way for farmers or other growers to get in on this directly? Now, let's talk about the actual delivery. I had scheduled my delivery for Thursday between 10 a.m. and 1 p.m., knowing I'd be returning home from a doctor's appointment by 11. As I swung around the front of my house at 10:50 I saw green bags on my front porch. So an A for timely delivery--even if it wasn't same or next day. As you can see, each large green bag is slapped with a scanning sticker to assure accuracy. Another thing I noticed is that there are holders on the side of the bags for product advertising. Those Bounty and Crest notices are just ads, not coupons. There are also ads on the site. So, Amazon is getting passive income from manufacturers. As for the products themselves, everything arrived as it should, fresh, cold--if required--and intact. As it should, given all that packaging. Okay, one caveat, Gina Frieze, your Venissimo cheese package was moist so the labeling with the info you want your customers to enjoy is kind of smeared. 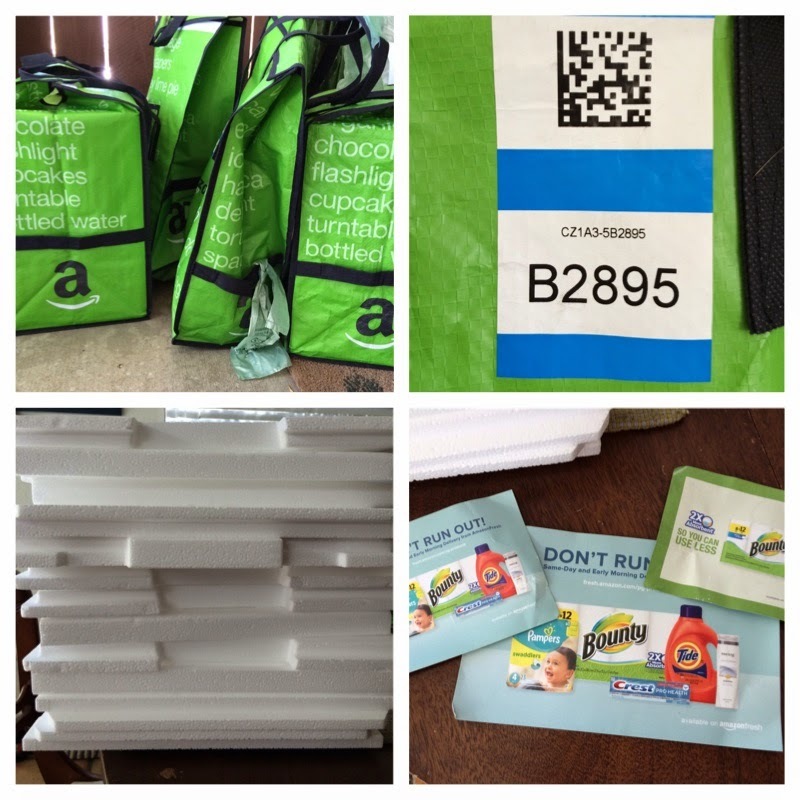 You'll have to determine for yourself whether all these factors will turn you into an AmazonFresh member. For me, the best thing about it was being able to order from Canter's and the Diamond Bakery. The rest, meh. But I'm a shopper so I don't feel a need for home delivery. What I wish is that there were no $299 fee. If this were simply part of my current Prime membership, I would feel compelled to take advantage of it periodically if I didn't have time to shop or at least head over to places to get specialty items--or order products from favorite spots in Los Angeles. But I just don't see spending $300 for a service I don't have much use for. And I simply think that number is prohibitively high. I hope the powers that be, Mr. Bezos, rethink that. For those of you who do join, you can do your ordering online on the website, but there's also an AmazonFresh app for iOS and Android at their respective shops.